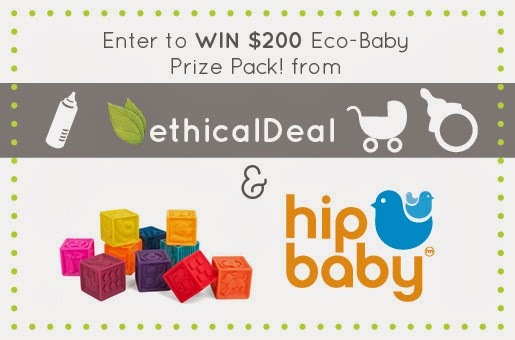 Hip Baby Blog: Enter to Win $200 of Eco-Baby Products! Enter to Win $200 of Eco-Baby Products! All you have to do is follow this link and enter your name and email address and you will be entered to win a $200 Eco-Baby Prize Pack! The pack consists of a $100 gift card for Hip Baby (for use in-store at the Vancouver location) and a $100 gift card for ethicalDeal to spend on Baby & Kids products.